The Blog. Why is it an essential element? Because your business blog should be central to your marketing strategy, it is here where you own your business message and put to rest any doubts about what you are offering. It is also the place where you can make announcements, put videos and pictures of your customers, your services and members of your team. Every business website should have a blog with regular posts. A blog brings so many benefits to your company that there is little argument left against having one. Data shows that websites with blogs generate 55% more web traffic than sites without. When you blog regularly, you make more content and more links, which ultimately enables you to build your reputation and increase brand recognition as well as produce better search results and ultimately more traffic to your website. Each time you create a blog post, you create another opportunity to share your content with social networks like Facebook, Twitter, and LinkedIn (add ones you like). Each share means links back to your website. This growth in inbound links is something that search engines interpret as credibility and ultimately helps with your search ranking. Chances are you are an expert in what you do, so why not talk about what you already know and love? It is the engaging content - the story about the small farm where you source the meat for your restaurant or the expert advice you share about how to get a new job, or even the story that inspired you to start your business - that people will read and share. It is these stories and the shares that over time help you build up your unique brand and your reputation. Blogging enables us to explain how our business or product work in more detail or how it relates to a specific client need - in some cases, allowing owners to discover different uses for their products. Like the natural soap maker whose customer discovered the product cleared up her eczema. Blogs at their best generate discussion. And as the business owner and the blogger you can guide the direction of the conversation by starting the conversation and using a blog entry to clarify misinformation. If you blog, please enable comments and be sure to respond to those who take the time to reach out to you in the form of a comment. While there are many platforms that you can choose for your blog the one thing you need to make sure of is that your blog and your website share the same domain. It will help tremendously on the SEO part. 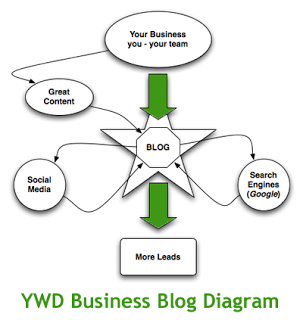 Once you have your business blog going, you need to post regularly. Share the responsibility for creating blog content with multiple contributors (team members of your business) you can even invite guest bloggers (a client perhaps). But regularity is crucial, so your audience knows when to expect your next post. RSS feed and email subscriptions are great tools for sharing your blog content with your audience. And most blogs platforms have these. What is interesting the most attractable business topics are related to reputation, brand, social fame and many other you mentioned in the article. I think it is fair but I'd also add some things like data security and virtual data rooms (e.g. ideals data room or any similar ones) for business processes. Not so many people know that these factors are important in today's business world.